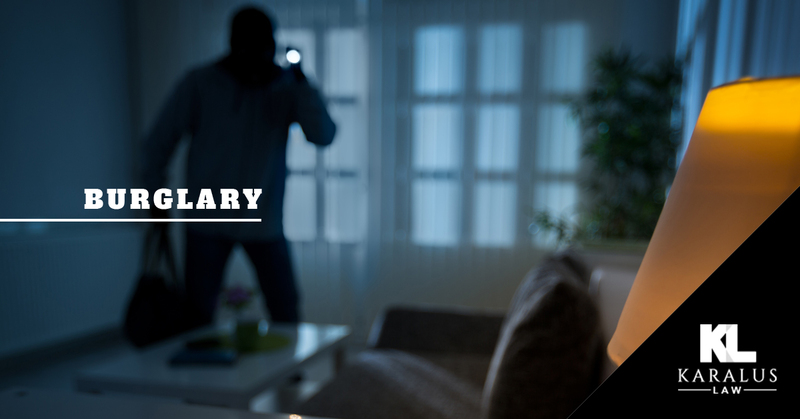 While many believe that burglary and robbery are the same, the fact of the matter is that they are two entirely different charges in the eyes of the law. Defined as breaking into a building or structure illegally with the intent of committing a crime, specifically theft, a burglary conviction will not only lead to hefty fines and possible jail time but will also negatively affect your life in the future. There are four degrees of burglary charges that we will summarize below. For the full Minnesota statutes as it relates to burglary, click here. The building entered has another person inside during the time of the break-in. The defendant is in possession of a dangerous weapon or convinces the person present that they have a weapon. If the defendant assaults someone inside the dwelling. A first-degree conviction will lead to a mandatory minimum sentence of six months in jail and a statutory maximum sentence of 20 years and a $35,000 fine. The building entered was a dwelling. The building is a bank or another place of business that receives items for safekeeping. A portion of the structure contains a lawful business or practice that handles or stores controlled substances and the entry was forced. The defendant uses a tool to enter the property or inside of the building. The maximum sentencing is 10 years in prison and/or a $20,000 fine. Third-Degree – Third-degree burglary involves entering a building unauthorized with the intent to, or following through with any gross misdemeanor or felony. The maximum sentence is up to five years in prison and/or a $10,000 fine. Fourth-Degree – A gross misdemeanor offense, fourth-degree burglary is defined as unauthorized entry into a building with the intent or commission of a misdemeanor other than theft. This carries a sentence of up to one year in jail and/or a $3,000 fine. No matter the degree that you are facing, you want to be sure to have solid and reliable representation fighting for your side. Brian Karalus has the experience and knowledge in criminal law, and through his incredible devotion to his clients has received countless not guilty verdicts or dismissals. Hire the best criminal defense attorney in Minnesota. Contact Karalus Law today.